Refuting allegations that raids and operations against extremist elements are not conducted in Punjab as they are in other provinces, the minister said more people were arrested and prosecuted in Punjab than any other province. “More suspects have been arrested and prosecuted in Punjab than any other province,” he said. “This is why the law and order situation in the province is better than the rest of the country,” he added. 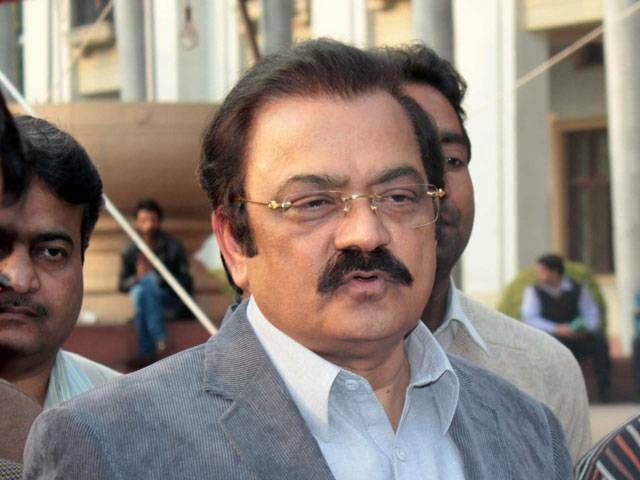 When asked about South Punjab’s link to militancy, Sanaullah said the whole country was plagued with extremism. “The impression that South Punjab is the hub of militancy is not correct, ” he said, adding that the PPP government given a freehand to militants in the region in return for “political gains”. “After Gulshan-e-Iqbal park incident, we conducted more than 10,000 intelligence based operations in Punjab,” the minister said, adding that more than 50,000 people were questioned during these operations. The article originally appeared on BBC Urdu. Peace process: hostage to Haqqanis? Should we wait for others to tell what is necessary to correct Pakistan’s image or repair relations with neighbours? Irresponsible statement or bitter truth??? When someone has lack of intellect to keep the question in perspective and answer respectively and yet has a government portfolio. Recall , ex- defence minister Mukhtar making similar statment. When later confronted he said he never understood the question and had meant something else. It’s enough for finger pointing indian’s (like little kids in school grounds) to say ‘nay nay na nay nay’. And of course @Jerry can provide us a list of all the BBC reporters that are on India’s payroll! So non-state actors were state actors.